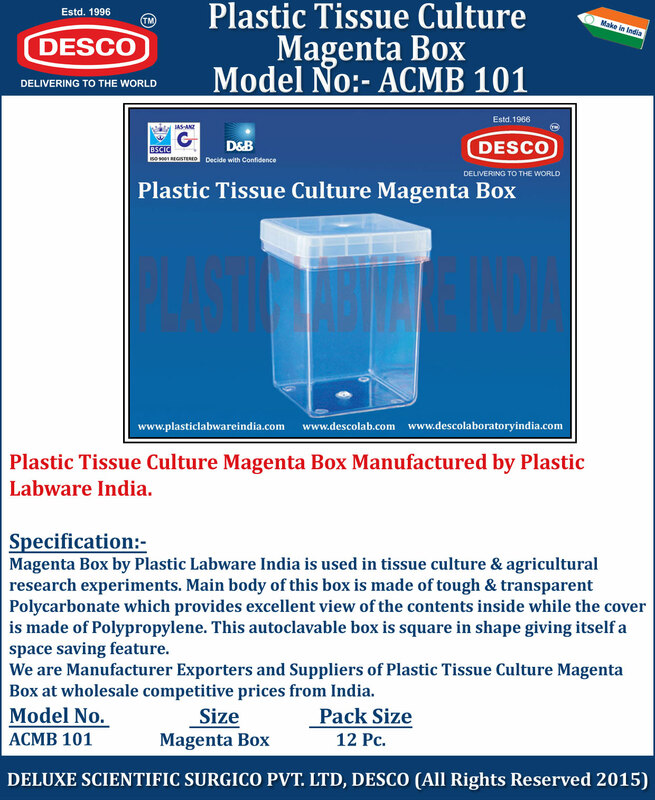 Magenta Box by Plastic Labware India is used in tissue culture & agricultural research experiments. Main body of this box is made of tough & transparent Polycarbonate which provides excellent view of the contents inside while the cover is made of Polypropylene. This autoclavable box is square in shape giving itself a space saving feature. We are Manufacturer Exporters and Suppliers of Plastic Tissue Culture Magenta Box at wholesale competitive prices from India. ACMB 101 Magenta Box 12 Pc.